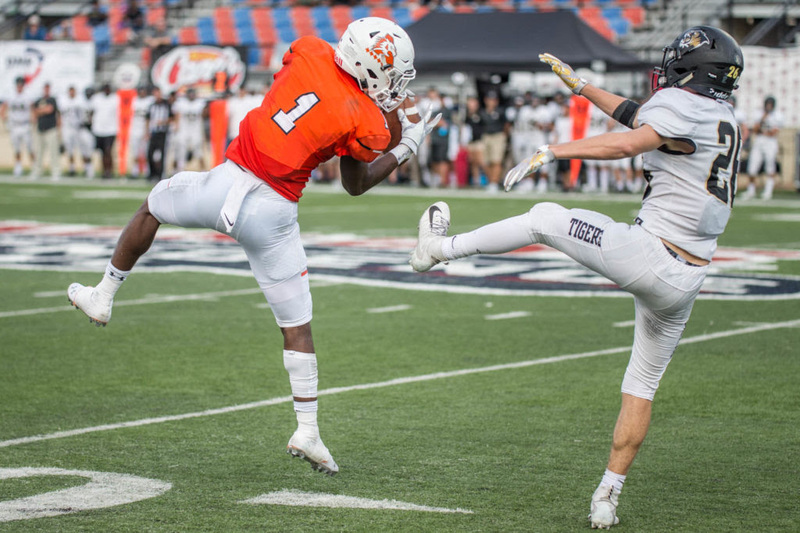 Aledo met Bentonville (Arkansas) in Shreveport for a matchup of two storied programs. 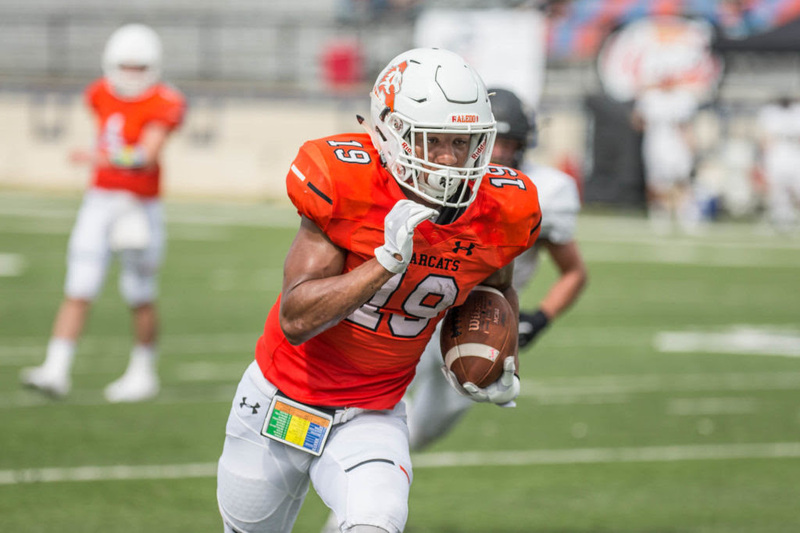 The Bearcats of Aledo took the win easily 51-14. Aledo receiver Jo Jo Earle outjumps a defensive back for a pass, then runs past the defender for a 65-TD reception. 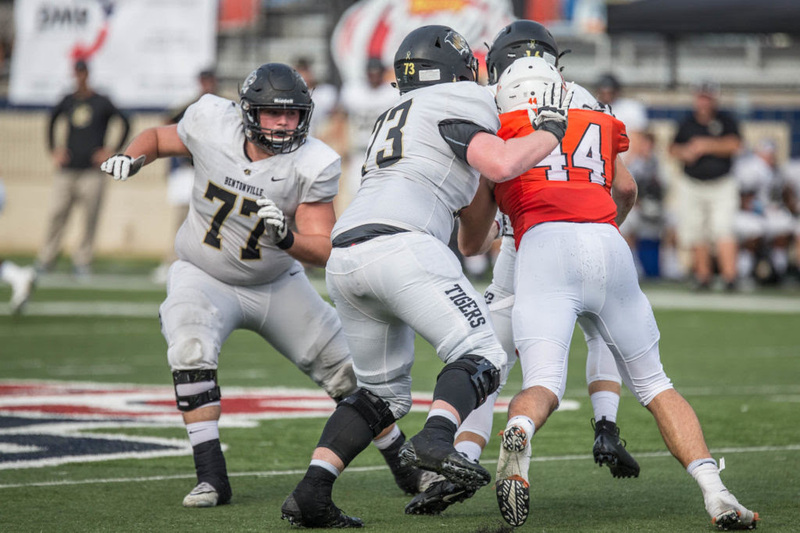 Aledo defensive end Colt Ellison sacks the Bentonville quarterback in Saturday’s game. Tre Owens runs for one of his 2 touchdowns.